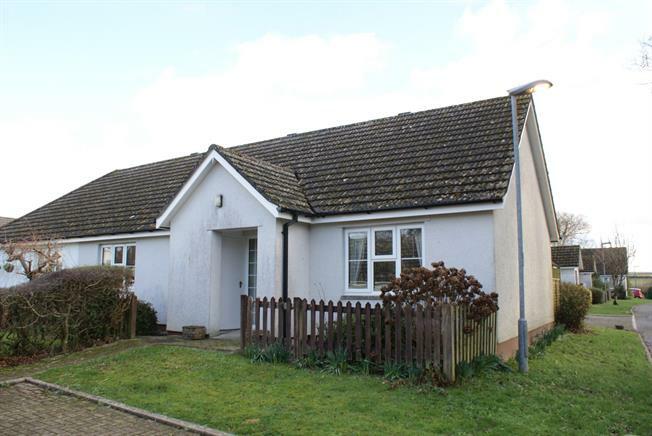 2 Bedroom Semi Detached Bungalow For Sale in Bodmin for Asking Price £175,000. A deceptively spacious two double bedroom semi detached bungalow, designed and purposely built for the over 55's. In need of a degree of minor modernising, the accommodation comprises; an entrance hall, built in storage cupboards, spacious lounge / diner, kitchen and family size bathroom. Complemented with a rear conservatory in the private rear garden, uPVC double glazing, electric heating, driveway parking and garage. A viewing is highly recommended. UPVC double glazed door giving access into the hall and double glazed uPVC window with obscure glass. Storage heater, carpeted flooring, built-in storage cupboards airing cupboard. Doors lead to the lounge / diner, kitchen, bathroom, bedrooms and roof void. A spacious living area offering an inner single glazed wooden door into the conservatory and double glazed uPVC window facing the front overlooking the garden. A feature fire place with an electric fire and two night storage heaters, carpeted flooring. There is ample space for a family dining table. UPVC double glazed French patio doors onto the rear garden and double glazed side windows. UPVC double glazed rear window. The kitchen comprises a range of wall and base units, roll top work surfaces and stainless steal sink with drainer board, part tiled walls and a built in plinth fan heater. There is space for a freestanding oven, washing machine and fridge freezer. Double glazed uPVC window facing the rear overlooking the garden. Storage heater, carpeted flooring and fitted wardrobes. Double glazed uPVC window facing the front overlooking the garden. Electric heater, carpeted flooring. UPVC double glazed front obscure window. The bathroom benefits from a panelled bath with hand grips, pedestal wash hand basin, bidet and low level W.C. Part tiled wall surrounds and carpeted flooring. Up and over metal door. Light connected and storage into the rafters. The property is approached to the front with a path to the main entrance and garden to the front enclosed by a timber fence. There is an attached outside shed perfect for bin storage. The majority of the private gardens are to the rear, low maintenance laid to stone, which would be complemented with potted plants and garden chair. There is a high timber fence and gate which leads straight onto the driveway and to the en-bloc garage located to the rear. Glebe Parc is a small purpose built development of bungalows for the over 55's and is currently managed by the LiveWest Group. Miller Countrywide have been provided with an Agreed Budget for 2019/20. 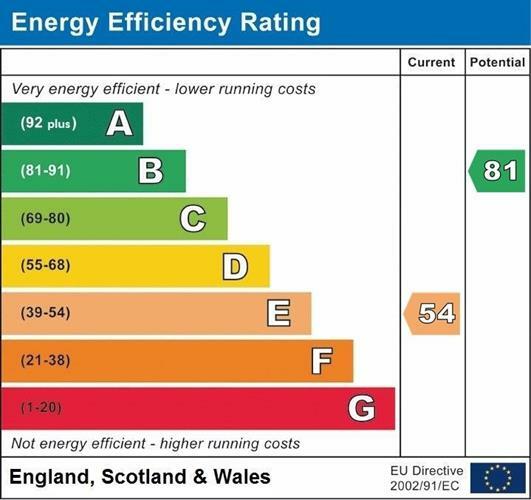 This includes a monthly service charge and covers the maintenance of the communal grounds, communal electricity services, building insurance (but does not cover the conservatory on 4 Glebe Parc), communal water usage and provisions for septic tank clearance. A copy of the budget is available on request.